A family: Dad (Harold P. Warren), Mom (Diane Mahree) and their young daughter (Jackey-Raye Neyman) get lost while driving to their holiday destination and end up in a mysterious house maintained by weird caretaker Torgo (John Reynolds) and inhabited by a cult led by The Master (Tom Neyman). You've probably heard it's awful, had that confirmed by seeing the classic Mystery Science Theater 3000 episode, and therefore decided to give the original version a miss. 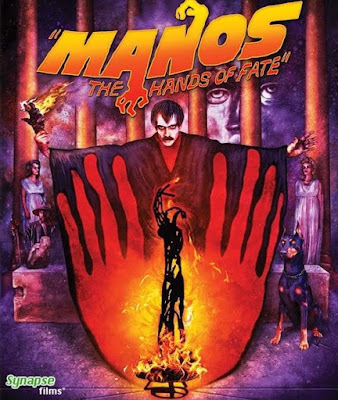 I'm not going to lie, MST3K wasn't wrong, “Manos The Hands of Fate” (yes, the quotation marks are in the onscreen title which, brilliantly, translates as Hands The Hands of Fate) is a bad, bad movie, maybe one of the worst ever made, but that's not the whole story. Most bad movies are bad because they're boring, because the conservative nature of the business makes that seem like the financially safe option. Every now and then though, something slips through the cracks; something gloriously eccentric, made by someone who has no business stepping behind a camera, no concept of how to tell a story, move a camera or direct actors but still manages to achieve some bizarre, fascinating alchemy. 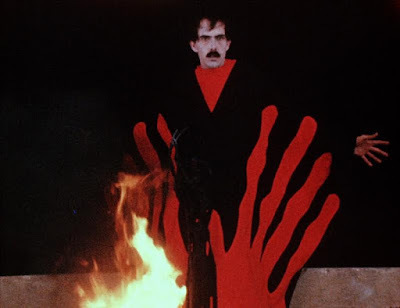 Manos is one of those films. Made, apparently as a bet with screenwriter Sterling Silliphant, by a fertiliser salesman from Texas and largely starring his community theatre friends, Manos is a film that looks and sounds as cheap as it was. The sound is entirely and ineptly dubbed after the fact, with one unnamed voice actress playing every female role (including, hilariously, the six year old girl). The editing is an abomination, apparently completed in four hours, possibly while drunk. The camerawork is largely terrible. One especially notable moment comes when the family are introduced, Harold P. Warren makes sure that he's on screen, but only manages to shoot the back of Diane Mahree's head. The general standard of the framing does not improve from there. The writing is also a problem. Warren appears to have cut and pasted a lot of the dialogue, practically every line is repeated, giving the whole film an almost alien rhythm. It's perhaps not entirely fair to judge the performances, given that they are all dubbed, and in Mahree's not by the original actress, but that said much of the physical acting is laughably wooden. Mahree has one expression; mildly baffled. Given the script you can forgive that. All that said, Manos is not a film you should watch simply to laugh derisively at. I'd recommend it purely for John Reynolds' profoundly odd performance as Torgo. Initially written as a Satyr, Reynolds plays the role with a bizarre gait that makes his every movement staccato and delivers the dialogue in a similarly halting, off kilter way. In a better film, refined by a director who knew his job, it could have been quite an unsettling performance. Reynolds was apparently into LSD at the time of the film's making, it would be fair to say that that comes through in his performance. Warren is as underachieving an actor as he is a director, but Tom Neyman, as The Master, gets the tone completely right. Neyman clearly sees Manos for the ridiculous thing it is and he overplays deliciously as The Master, watch for his great maniacal laugh scene after he declares that Torgo must be sacrificed (which, when it happens, is an amusingly underwhelming moment). Tom Neyman is likely responsible for almost everything good about Manos. 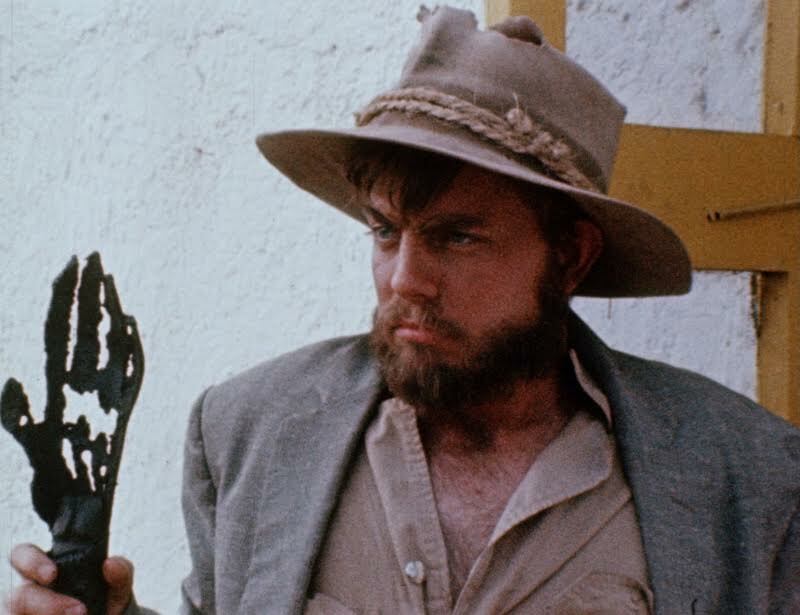 As well as acting in the film he was the production designer, creating props like Torgo's hand shaped staff, which is the centrepiece of perhaps the film's only conventionally visually striking shot and the costumes, including his own robes. One thing you can say about Manos, handmade and clunky as it is, is that it doesn't look like many other films. The other thing that stands out is the ending which, in a striking break from the film's otherwise laughably lax continuity, brings the story full circle and ends it on a note which, remarkably, is genuinely chilling. Had the film actually coherently built to this moment it could have been conventionally effective. However, I'm not sure, if that were the case, we'd be talking about Manos 51 years after it was made, the film's awfulness is part of why it's survived, why it's passed into movie legend, but it's not quite all there is to it. Synapse Films Blu Ray is the definitive release, boasting a 2K restoration, 3 featurettes and a commentary with Tom and Jackey-Raye Neyman. It's also region free.